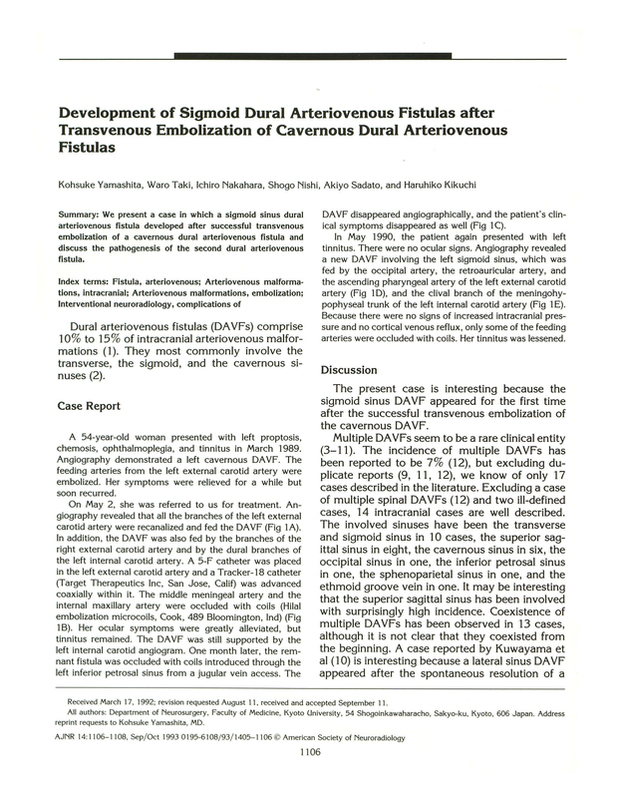 Development of sigmoid dural arteriovenous fistulas after transvenous embolization of cavernous dural arteriovenous fistulas. Department of Neurosurgery, Faculty of Medicine, Kyoto University, Japan. You are going to email the following Development of sigmoid dural arteriovenous fistulas after transvenous embolization of cavernous dural arteriovenous fistulas.